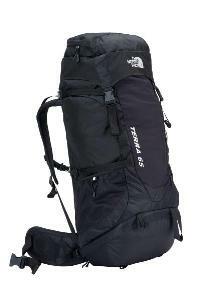 The Terra 65 rucksack is loaded with features to make this multi-day backpack a pleasure to hike and travel with. Comfort, flexibility, breathability and capacity are the hallmarks of the Terra 65. The Opti-Fit™ suspension system ensures a technical fit and carrying comfort, combined with a cushy, sleek, anatomical shoulder harness and improved load-spreading hip belt. Huge zippers make side entry easy which makes accessing essentials convenient. An improved sleeping bag compartment keeps your bag securely tucked away until it’s needed. A rain cover is included which doubles as a pack protector when travelling.